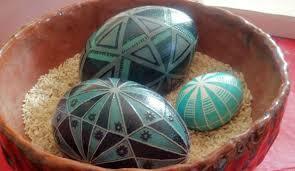 Pysanky – the lost art of Ukranian Easter eggs is reborn in West Chester. Artist Jennifer Domal has a passion for eggs. 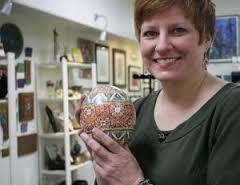 Jennifer utilizes the ages old traditional Ukranian egg carving technique known as “pysanky.” Etching her exquisitely detailed patterns onto the surface of an egg, Jennifer creates miniature works of wonder. Each egg can take several days to finish. These amazing creations are painstakingly etched onto the hollowed egg shell and then lovingly colored with beautiful glazes. Jennifer’s works can been seen this Thursday at the Popup Art show at Galer Estate Vineyard and Winery from 4-8pm, at The Palette and Page in Elkton Maryland and on April 12-13 at the LaSalle Egg and Art Show in Shillington PA. Jennifer started experimenting with pysanky when she was three years old. Like many of us, she melted crayons onto the egg surface and then dyed them. As she got older, the techniques became more and more elaborate. Now she etches her designs with acid and layers color with artist inks. Jennifer uses organic eggs from local farmers that include, goose, chicken, duck and ostrich eggs. She says that the two biggest misconceptions about her art forms are that they are only for Easter and too delicate to touch, “They are not Easter eggs and they are not fragile!” Jennifer explains that in the Ukraine, these eggs would traditionally be made in the Spring, and then given as gifts throughout the year. 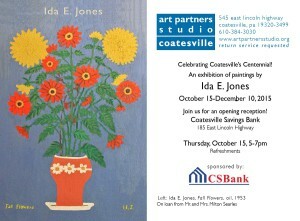 Check out her latest creations at Galer Estate Winery this Thursday or at the Palette and Page in Elkton! 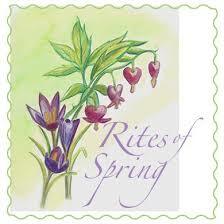 On April 16th the Art Partners Studio in the majestic Graystone Mansion will host the “Rites of Spring” exhibit from 5-7:30 in Coatesville. There is free admission to this lively evening of music, refreshments and teacher and student shows – a real celebration of art! Art Partner’s new Executive Director Terry Foreman writes “It’s great to see so many talented artists sharing what they know with children, teens and adults taking classes at Art Partners Studio. We look forward to celebrating the creative spirit of those involved in Art Partners programs and invite everyone to jump on board and take a class with us this Spring and Summer.” For more information about the show or for directions, go to www.artpartnerstudio.org. Kip creates illuminated hand-crafted wooden architectural models that are delightful and fascinating. Try to check out the “FiberNext” show at the Delaware Art Museum before it closes on April 13th. This exhibition highlights an exploration of contemporary fiber arts by 20 regional fiber artists. This colorful show is supplemented by a unique installation of hand woven scarves from Vulcan Rest Fibers that are wrapped around many of the museum’s trees on display in the sculpture garden. Sounds like a lot of fun! Lele Galer is an artist who has chaired numerous art shows, taught art history and studio art, public art and has chaired, written and taught the Art in Action Art Appreciation series for the UCFD schools for the past 12 years. She worked at the Metropolitan Museum of Art, and wrote for the Asociated Press in Rome. She has been dedicated to Art History and art education for most of her adult life. Lele and her husband Brad own Galer Estate Winery in Kennett Square and co-Chairs the CCAA’s New Building Campaign.